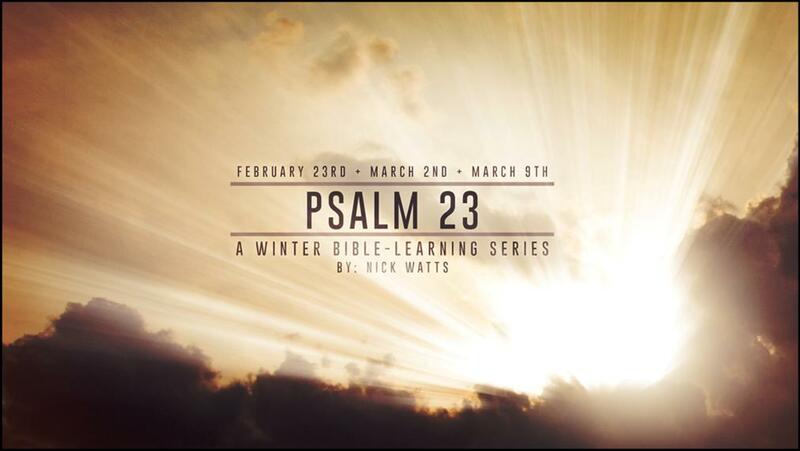 INTRODUCTION TO SERIES: Since the passing of my son last May, Jordan, no biblical passage has comforted my mind & soul more than the 23rd Psalm. Quoting it has saved me, more than once, from losing my mind. The power of God’s Word – in particular, this passage – in setting me free from a “psychological hell”, of sorts, motivated me to more deeply “mine the treasures” of these six short verses. What I’ve discovered – and experienced – has been life-changing. And now, I want to share what I’ve learned with you. 3 Sundays: Feb. 23rd, Mar. 2nd, Mar. 9th; 5pm. BHBC Worship Center. We additionally offer pure granite countertop surfaces. Oder – und Strick -Panel. Ich kann weder Stricken. Wenn der Label kommt will ich gerüstet sein…oder so…. 2,5 cm breit und es nur Kanten.